Here you can find more information about our tours and activities in the area. 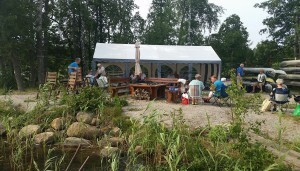 Wetlandi Canoe Center at Axeltorp. – Reception: Reception desk and tourist information about the area and Humleslingan trail. We even sell fishing permits and a minor assortment of fishing and outdoor equipment as well as coffee and ice cream and other small treats. – Parking facilities: Parking is free for our customers. 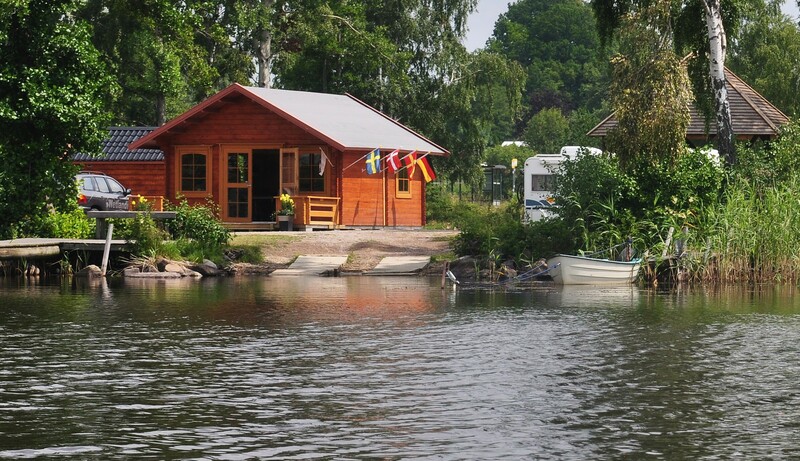 You can even bring your caravan or camper for 120,00 SEK per night. Parking spaces are behind the reception on the lawn. Access to the rest rooms, barbecue areas and drinking water is included in the fee. Short stopovers during the day are free of charge. 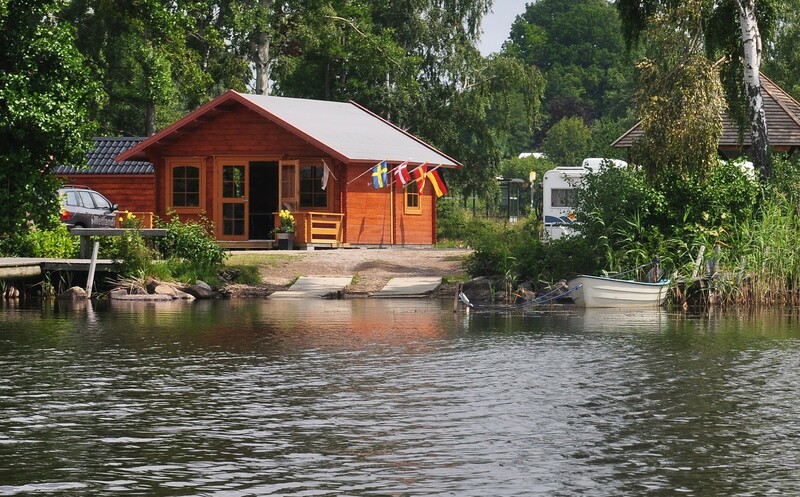 Please note that “Ställplats Axeltorp” next to our facilities does not belong to Wetlandi Canoe Center. – Barbecue areas: A barbecue table with benches as well as a barbecue pavilion can be found on the premises. For groups we rent out a grill hut that can accommodate up to 16 people. We even sell barbecue coal and firewood. – Event: On request we can arrange stays for bigger groups including portable canopies and access to the barbecue areas. – Bus stop: Situated right next to Wetlandi Canoe Center. The bus runs every hour and stops at Bromölla station from where you have direct connections to Malmö and Copenhagen by train (Öresundståg). Short video from Axeltorpsviken at the Wetlandi Canoe Center. Download map and visitor information with all necessary information for your trip. Humletorkens vandrarhem – Youth hostel and café with art exhibitions and crafts shop. Stuga Axeltorp – Cabin at the foot of Ryssberget (Russian mountain), only 2 kilometers from Wetlandi Canoe Center. Bromölla Camping & Vandrarhem – Campsite and youth hostel in Bromölla. Banvallsleden – Bicycle trail that goes past Wetlandi Canoe Center. Näsumaviksleden – Trail with a tropical touch, situated around 1 km from Wetlandi Canoe Center. Gustavsbergsleden – „Into the wild“. 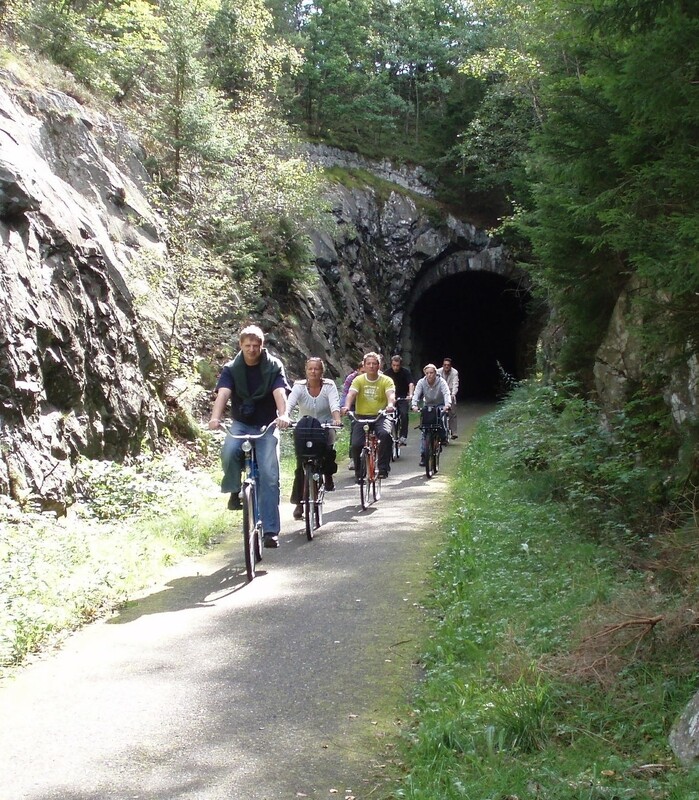 23 km long hiking and bicycle trail that passes close to Wetlandi Canoe Center. Other trails – More information available at the tourist information in Bromölla. 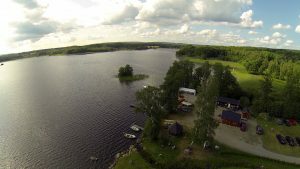 Ivösjön fishing permit – here you can buy fishing permits for lake Ivösjön online. Havsdrakarnas hus – 80 million years ago gigantic reptiles used to live at Axeltorpsviken. Bromölla Turistbyrå – Maps, trail descriptions etc.